I’m talking about the Age of Pisces, the 2,200-year astrological age now drawing to a close. In my last post I explained the phenomenon of the precession of the equinoxes, which gives rise to the astrological ages. (I didn’t mention the actual cause of the precession. This is the turning of the Earth’s axis of rotation around another, implicit axis—exactly as a spinning top slowly wobbles around a second implicit axis as it spins.) I promised to explain next why I think astrology is a valid field of inquiry and knowledge, so here goes. As a boy I was a passionate devotee of science, and indeed until late in my teens I thought that I would go into space science as a career. I ridiculed people who believed in astrology. But by the time I left high school my attitude had started to change. The artist in me was starting to gain the upper hand, and I was becoming conscious of a hunger for knowledge or truth that scientific concepts did not satisfy or even address. Gradually I came to identify it as a spiritual hunger, and my mind, in a kind of desperation, began to open to alternative ways of understanding the world and myself. I became interested in psychology and symbolism, and I started to give astrology a new look. Reading some of my mother’s astrological books, and acquiring some more of my own, I had to admit that I recognized aspects of myself in the descriptions of certain astrological configurations, and recognized aspects of people I knew in their astrological configurations. It made no scientific sense, but I recognized that it seemed to work. I was still scientist enough to want to know why. If astrology worked, how did it work? There had to be an explanation. My first encounter with a serious effort at explaining the effectiveness of astrology was in the works of the psychologist Carl Jung. Fascinated with symbolism and the unconscious, I had become a fan of Jung and had spent some of my first earnings as a hospital janitor on hardcover volumes of his collected works, which in those days (around 1980) were regularly stocked on the shelves of Duthie Books in downtown Vancouver. Jung himself was convinced that astrology worked, and even did some statistical tests to validate this mathematically; the results of these were published in his collected works. As for an explanatory theory, he thought that astrology was among the phenomena that could be accounted for by a new principle that he was proposing: the principle of synchronicity. This is how synchronicity manifests: as meaningful coincidence. It’s coincidence because the events are not causally connected—there is no conceivable way that Jung’s patient’s dream, their meeting, and the flight of that beetle could have had a common physical cause. And it’s meaningful because the consciousness that witnesses it experiences it as such. To be speaking of a scarab beetle, and then to have one as it were walk on stage to illustrate itself, is a striking event which seems to imply that nature is cooperating with or validating one’s current action in some way. But how does the world, life, create meaningful coincidences? What is the mechanism of it? For Jung it all rests on the foundation of the collective unconscious—a term he invented to denote the psychic features that we all hold in common, as distinct from our conscious personalities on the one hand, and the contents of our individual unconscious on the other. The name of a grade 2 classmate that I can’t bring to mind is a content of my personal unconscious, and not of yours. But, according to Jung, the common experience of, say, having a mother has deep roots in our respective minds that are not matters of our personal life histories. This deep common experience forms the nucleus of what Jung termed an archetype, a kind of energy-center in the unconscious that manifests its presence by causing certain kinds of images, ideas, and feelings to arise in conscious experience. In his view these archetypes are the reason for the striking similarities that can exist between the creations and behaviors of people who are widely separated in time, space, and culture. By definition, the contents of the unconscious cannot be known. The very existence of the unconscious is something that can only be inferred; Jung himself, as I recall, said that its existence is and must remain a “postulate” of psychology. Because it cannot be known directly, there is no way to know its full extent. It is the mysterious ocean on which our conscious experience floats: dark, unknown, and filled with living things that are far out of sight. As I understand it, Jung thought that the collective unconscious extended far enough into the world, so to speak, that it could engineer the phenomena of synchronicity, the meaningful coincidences in our lives. But this might in itself be too “causal” a way of looking at it. For synchronicity would seem to be a separate way of cognizing reality altogether. Jung himself used the image of lines of longitude and latitude in the system of geodesic coordinates: the lines of longitude, emerging from a single point at one pole, flow outward as connected series of points, and in this they are like the chains of cause and effect. The lines of latitude, on the other hand, connect all of these lines of longitude together at each point, and thus are like the meaningful connections of synchronicity. Each event has its own causal chain that led to it, even as it is simultaneously connected in meaning with every other causal chain at that moment. Does synchronicity, then, explain the apparent accuracy of astrology? In one sense it does, in that it provides a framework whereby the arrangement of distant stars and planets at certain moment reflect the quality of that moment, just as much as anything else does that is more nearby. The power of their significance has nothing to do with their physical influence, which is small. But some part of me was and is dissatisfied with synchronicity as a complete explanation of astrology. In part this may be because it would seem to place an equal value or emphasis on everything that is happening at the same moment. What makes the configuration of the stars at this moment any more meaningful than the configuration of the leaves on the maple-tree outside, or of the books on my desk? They all presumably partake equally of whatever meaning exists at this moment. Shouldn’t I be able, in theory, to cast a birth chart based on them? Another issue for me might be the referring of all this meaning to the “unconscious,” which, because it is intrinsically unknowable, seems like a handy dumping-ground for everything we can’t explain. God and the Devil are in the unconscious, and everything between them. It can be used to explain everything, and something that explains everything, in a sense, explains nothing. 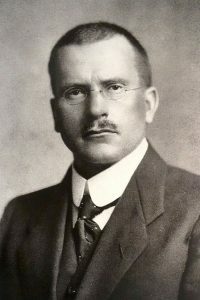 So while, as a student of Jung’s ideas, I accepted synchronicity and found that the idea enriched my life, I did not regard the question of the explanation of astrology as settled. I would keep on reading, asking, and thinking until I found an answer that worked for me. But more of that in the future. This entry was posted in astrology, thoughts and tagged astrology, how astrology works, Jung, synchronicity, The Age of Pisces, the collective unconscious, the unconscious. Bookmark the permalink.